Promoting a new perspective on disabilities to increase the options for independent living for persons with disabilities and their integration in all aspects of their communities. The essential program components are Information and Referral, Peer Support, Skills Development and Employment, and Research and Development. By providing these four core programs consumers, regardless of their disability, are empowered and enabled to define their own goals, find peer support and develop empowerment skills. The Independent Living Philosophy (IL Philosophy) is an alternative approach to the traditional medical/rehabilitation service-delivery model. This philosophy promotes and encourages an attitude of ‘self-director’ in individuals with disabilities. It means that they negotiate and access the community services and resources they need to participate as equal citizens in their community. 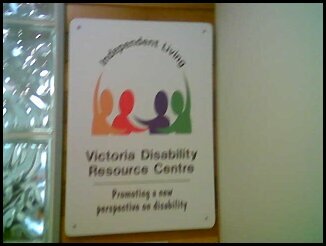 The IL Philosophy recognises the rights of individuals with disabilities to assume risks and make choices. It puts decision-making right into their own hands. Consumers are encouraged to achieve self-direction over their personal care and the community services they need to achieve independence. The IL Philosophy is premised on the belief that all people with disabilities have skills, determination, creativity and a passion for life, yet many face barriers limiting their full participation in their communities. These barriers include outdated attitudes, inflexible laws and regulations, lack of accessible transportation and the frequent fragmentation and lack of coordination among various social programs. The IL Philosophy is not an abstract concept. Independent living is founded on the principles that people with disabilities have the right to live with dignity in their chosen community, participate in all aspects of their life and control and make decisions about their own lives. It is about a way of living as a person with a disability in a society full of barriers.